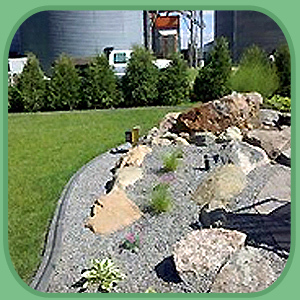 Curb Appeal Of So MN Inc provides custom garden curbing for the Mankato, MN area. Our landscape curbs are thin ribbons of concrete that divide your garden or planting area from the rest of your lawn. They are available in a wide variety of colors and styles. Every curb we lay is custom designed and poured at each site. All of our curbing work is covered by a 12 month guarantee. 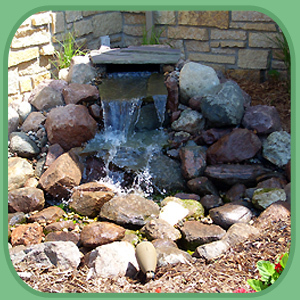 For quality patios, retaining walls or water features in the Mankato, MN area call Curb Appeal Of So MN Inc. We install high quality products into your landscape design. Our high attention to detail ensures that every job we complete will last a long time. All of our patio, retaining wall and water feature work is covered by a 12 month guarantee. 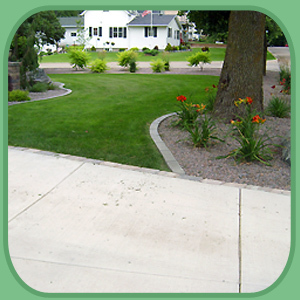 Curb Appeal Of So MN Inc performs landscaping services for the greater Mankato, MN area. All of the trees and foliage we plant in your garden are locally grown. We will use our 10 years of experience to help you design your landscape. All of our landscaping work is covered by a 12 month guarantee.